I can’t help but think of Michael Jackson’s Thriller at this time of year, and the opening monologue by Vincent Price. And what better time than Halloween to think of the dance master himself and probably one of the coolest and spookiest music videos of all time? Tenuously linked I know, but there is a bit of randomness about that video, one minute out on a moonlit stroll with a pretty girl, the next a dancing zombiethon! Made with fruit concentrate these seasonal Rowntrees Randoms Spooky Mix reminded more than a little of the video. 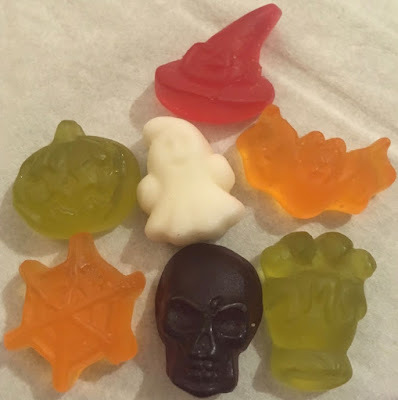 These gummies come in many spooky shapes and five colours. The white shapes taste predominantly of sweet apple. The green shapes taste of slightly sour lime. The orange shapes unsurprisingly taste of sweet orange. The red shapes taste of a mild raspberry, and the purple shapes taste of sweet blackcurrant. All shapes and colours were very gummy, very juicy, very tasty, if not entirely terrifying! 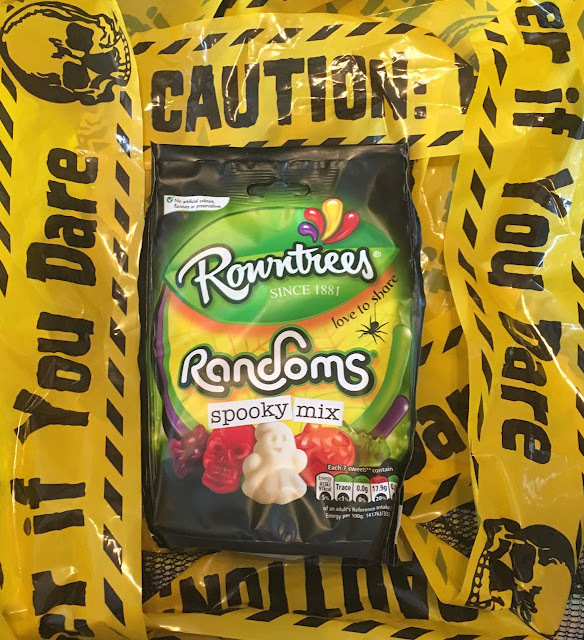 The 150g packet suggests 7 gummy sweets per serving, which has 97 calories, a trace of fat, 17.9g of sugar, and 0.01g of salt. See photograph for ingredients.